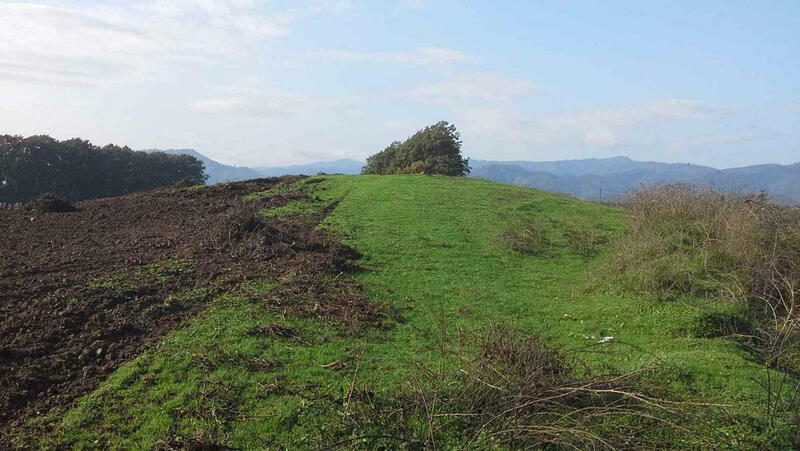 As a result of one of these investigative studies carried out by the leading researcher of the Institute, PhD in History Anar Agalarzade discovered burial mounds located on the left side of Badadan-Khanalion village of Masalli region, on right bank of the same river, in Lankaran lowland, Talysh mountains. The diameter of these soil covered kurgans is 45-50 m and the height of the upper cover is 4-5 meters, the institute told Trend. These graves, built at an altitude of 870 meters above sea level, are found one at a time in the village. The kurgans are mostly east-west oriented. Agalarzade said that, according to preliminary estimates, these monuments belong to the end of the Bronze Age and the beginning of the Iron Age, that is, the end of II millennium BC and the beginning of I millennium BC. The researcher noted that Bronze-early Iron Age mounds, present in the southern region of Azerbaijan, allowed the communities of the primitive community to observe the spiritual culture and burial customs of the present era. “The burial mounds of the mountainous and foothill zone are of great importance for gaining information about the socio-economic, public relations of the Bronze and early Iron Age societies and mainly the economic life of the ancient tribes. While rocky burial mounds are particularly characteristic for the mountainous zones in the southern region, the foothills and the Aran region are dominated by soil-coated burial mounds. All this difference is clearly observed in the vicinity of the monuments,” he said. The systematic archeological excavations that will be carried out in the future, according to Agalarzade will make it possible to determine the more accurate historical and chronological framework of the burial mounds in Badalan and to observe the features of burial customs.